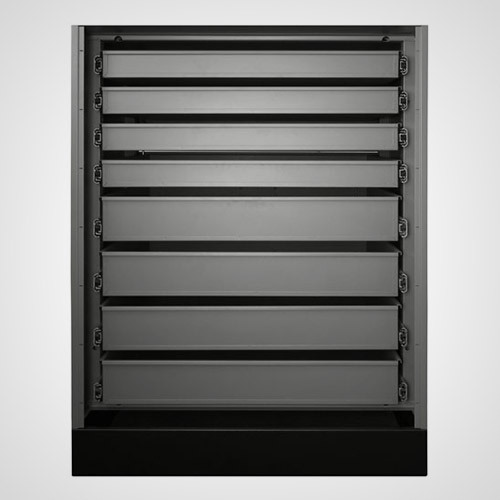 The Teclab Interlocking Storage cabinet. Setting a new standard in storage! That’s exactly what you’ll be thinking when you take a good look at the new Teclab Interlocking storage cabinet. The Teclab design team has redefined the storage cabinet with Teclab’s industry leading standard of quality and durability. The Interlocking Storage cabinet features beefier construction with heavier material than competitive cabinets. 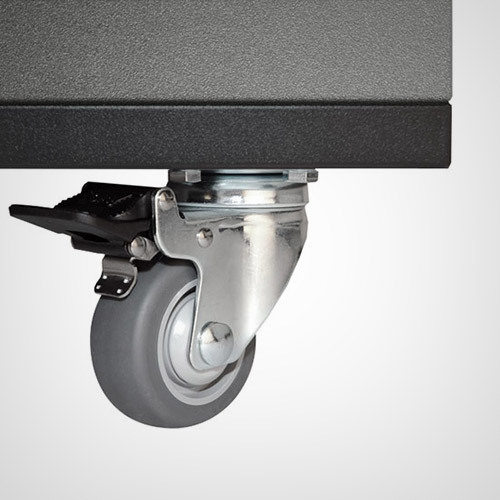 With exclusive Teclab features including rugged internal frames, reinforced drawers with smooth operating slide mechanisms, easy to use four-point in-cabinet leveling and our Teclab 10-year warranty. 48.75" high Interlocking Cabinets with inset handles. 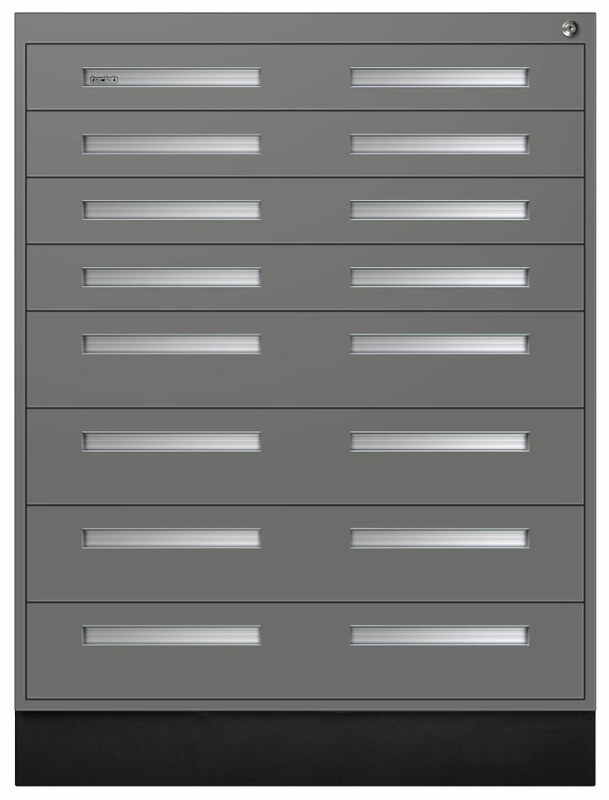 61.15" high Interlocking Cabinets with inset handles. 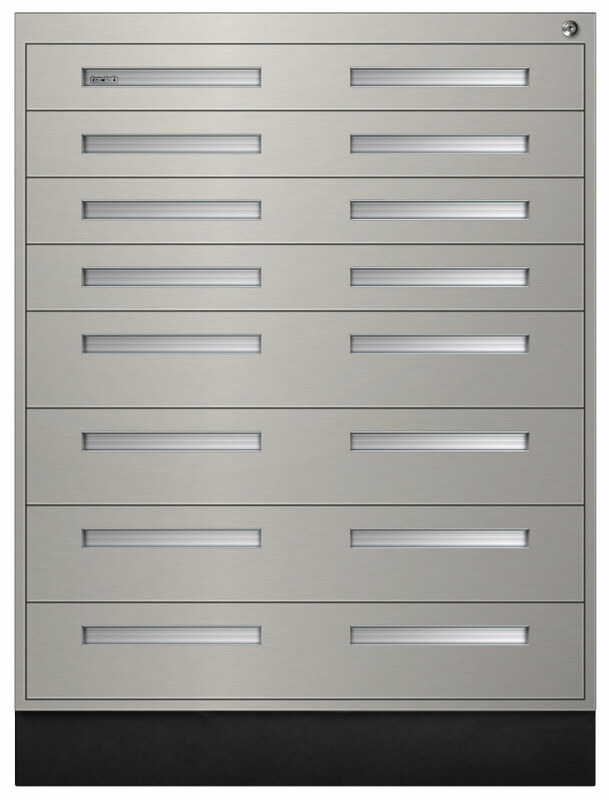 48.75" high Interlocking Cabinets with stainless steel handles. 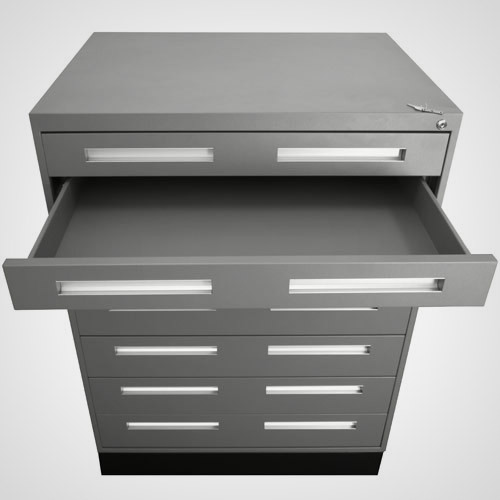 61.15" high Interlocking Cabinets with stainless steel handles.